It?s happened to all of us. We?re driving down the road when we close the distance to and end up behind waste vehicles. Garbage trucks are massive. There are people hopping off and on. Trash is falling through the air. The truck itself has jerky movements and unpredictable direction changes. It?s a hazard waiting to happen. Garbage trucks are a necessary service. Without them, the streets would be overrun with rodents and bugs. As necessary as they are, their design makes them dangerous. The risk to motorcycle drivers, bicycle riders and pedestrians is high. These cumbersome and erratic trucks travel mostly down residential streets, where there is a higher percentage of people on foot. They have poor visibility, blind spots and no rear-view mirrors. The risk isn?t only for the public, but includes the safety of the sanitation workers themselves. To protect more people, California has introduced into legislation a bill that would prevent people from passing to the left in unsafe conditions. Instead, the requirement would be to make a legal lane change while the waste vehicle is stopped and flashing amber lights. If maneuvering around the garbage or recycling truck is unsafe, you must stop and wait until it is safe to proceed. 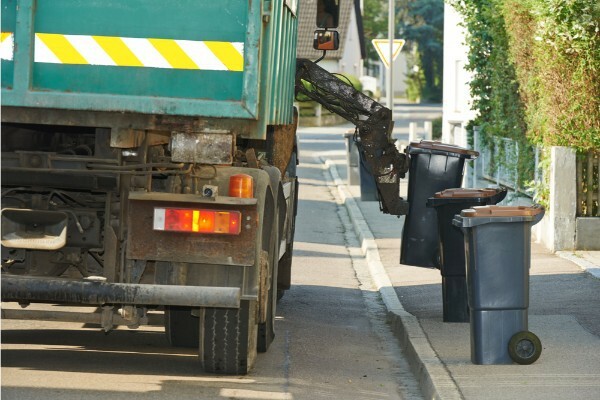 Due to the specific nature of a garbage or recycling truck, there are often experts called in to evaluate the condition of the waste vehicle. Has it been well maintained? Is there a safety feature that isn?t working? These questions, along with juggling the possibility of dealing with multiple insurance companies, can make these cases overwhelming. If you believe you?ve been injured by a waste vehicle and aren?t sure about what your rights are, call Maison Law Firm. We have an experienced team of attorneys who know what your rights are and want to fight to get you the compensation you deserve. Located in California?s Central Valley, we can focus on your case while you focus on recovery. Your first consultation is free! Call 559-203-3333 at any time ? 24/7. Someone will be here to help you.